Author: Pao, Basil Set In . . . 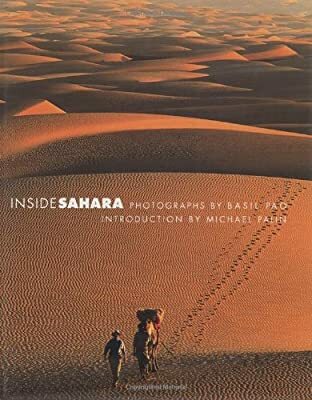 In the spring of 2001, photographer Basil Pao accompanied actor (and former Monty Python member) Michael Palin and a BBC film crew into the heart of the world's largest desert--the Sahara. The result of that journey is these remarkable pictures of landscapes and people, taken on a route that covered nine countries and an astonishing variety of cultures. Even when in some of the most hostile conditions known to man, Pao succeeds in capturing the awe-inspiring beauty of the region. Here is Tangier, known for its incredible light; scenic old towns, such as Chefchouen in the Jabala Mountains, barely changed since the 15th century; men, working in tanneries, their bodies balanced over gigantic holes filled with dye; an oil refinery aflame; the River Niger bathed in a golden glow; the beautiful faces of pastoral nomads; the magnificent glory of endless sand dunes; and other unforgettable pictures. Plus: behind the scene photos of Michael Palin and the film crew.